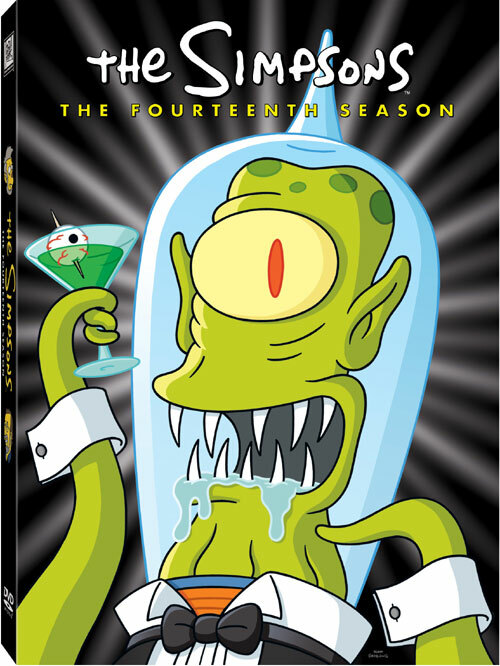 Season 14 originally aired from November 3, 2002 with Treehouse of Horror XIII and ended on May 18, 2003 with Moe Baby Blues. 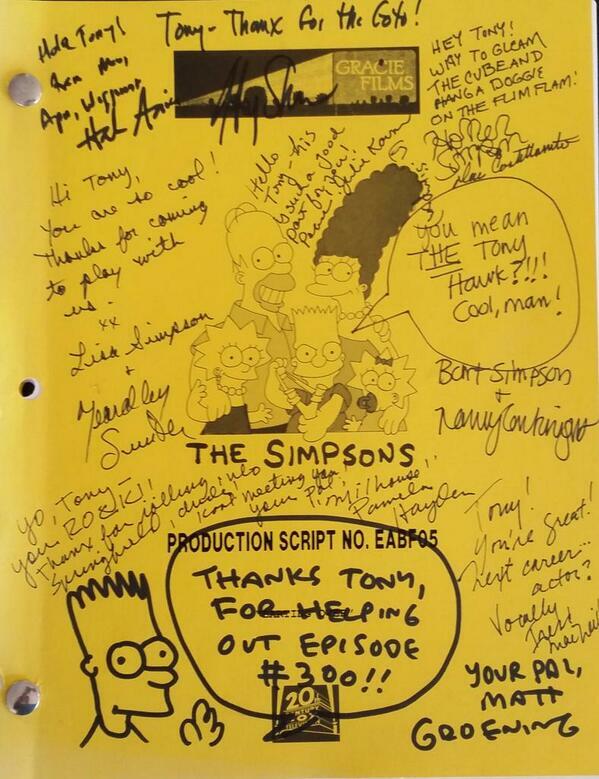 The Simpsons celebrated its 300th episode in this season. 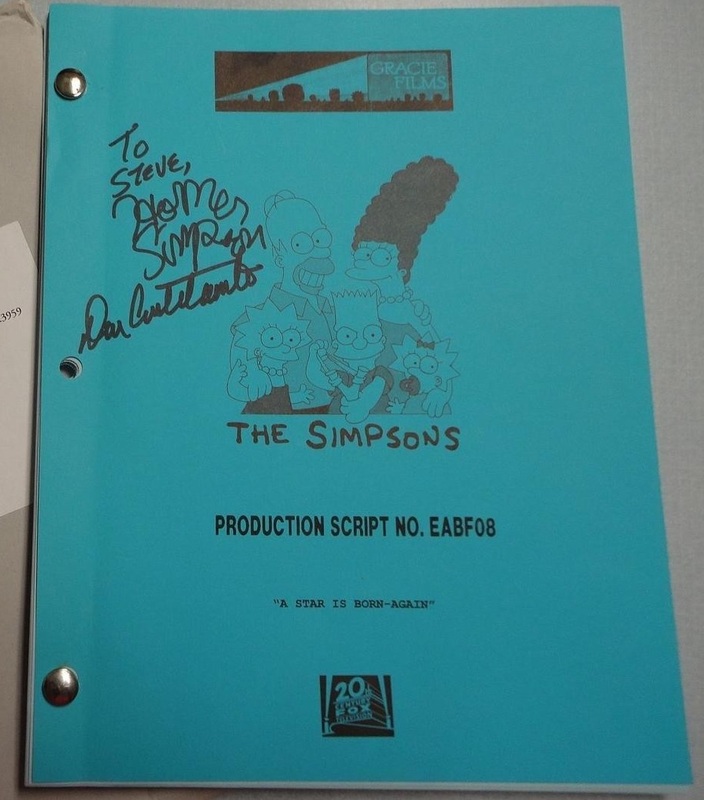 The Simpsons buy a satellite television, which Bart spends so much time watching that he does not study for an important achievement test. 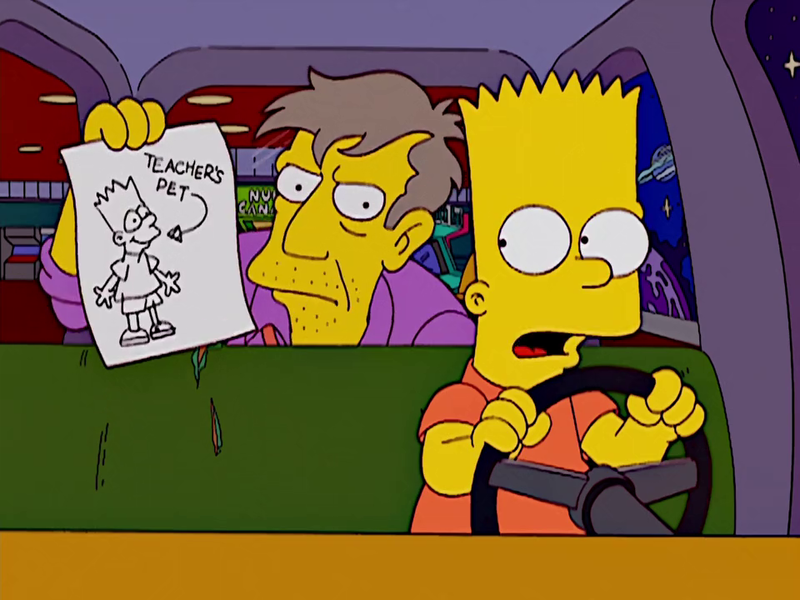 He scores so low that Principal Skinner demotes him to third grade, while Lisa does so well that she is moved up to third grade. The two are placed in the same class and become rivals. During a trip to Capital City, they get separated from their class and are forced to help each other in order to find their classmates. Marge mistakenly receives breast implants, to her dismay (but to Homer's delight), and embarks on a new career as a trade show model. Meanwhile, a stunt by Bart results in a big public-image problem for Krusty, and Bart hatches a plan to help him. 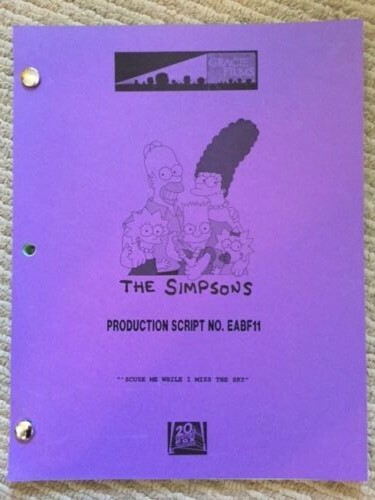 Bart's plan goes awry, but Marge's enhanced "assets" end up saving the day. 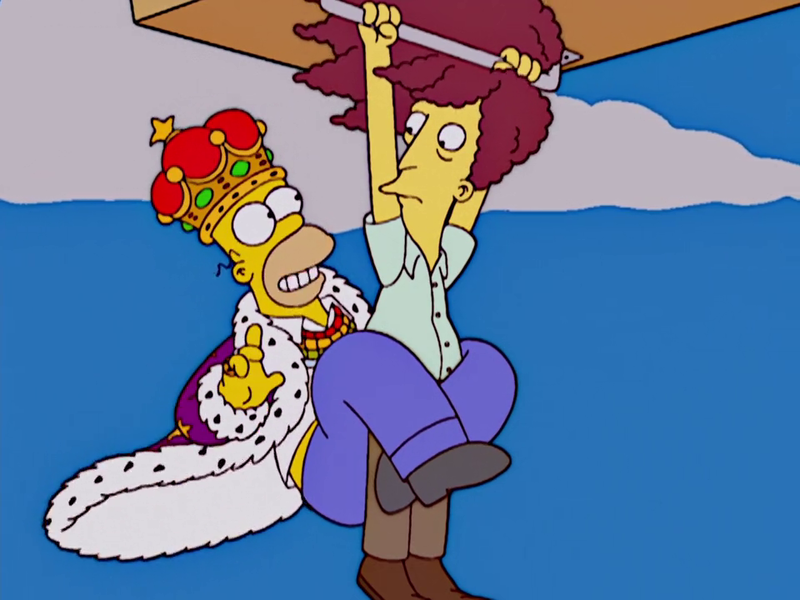 The Simpsons attend a hockey game and Lisa brings home a souvenir hockey stick, but the stick has Russian termites, which quickly infest the whole house. When they learn that the house needs to be fumigated and will be uninhabitable for six months, the family look for another place to live and join a reality TV show where they must live like a family from 1895. 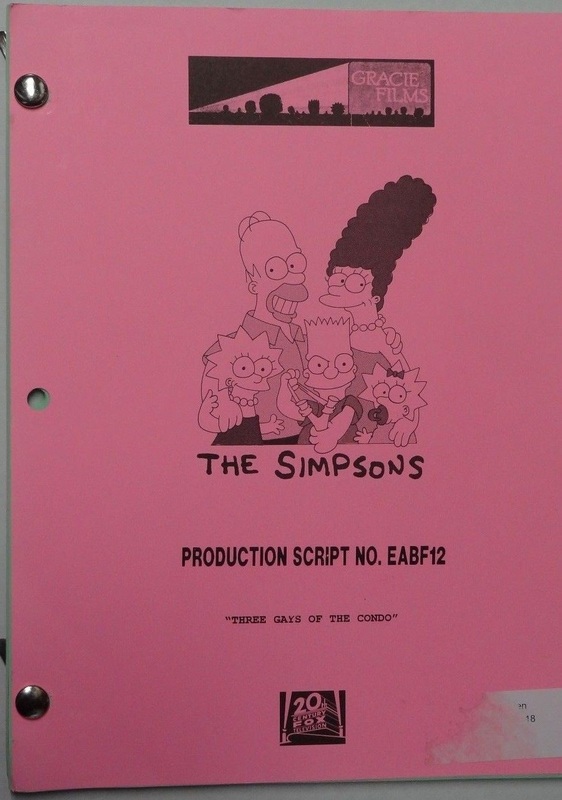 The Simpson family win a free spa weekend, and Homer is nearly killed when a mysterious figure locks him in a sauna. Chief Wiggum decides to hire someone who can think like a murderer in order to find one. 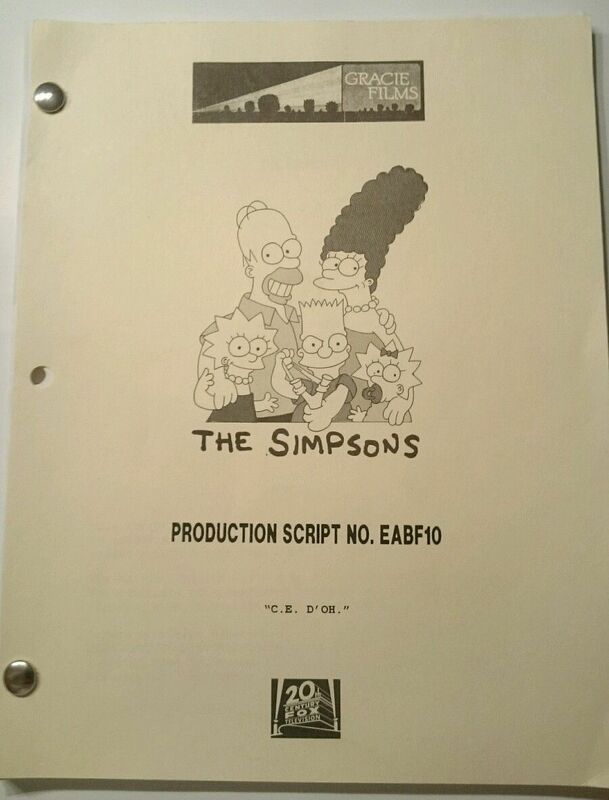 Bart's mortal enemy Sideshow Bob is sent to live with the Simpsons so he can help find Homer's attempted killer. 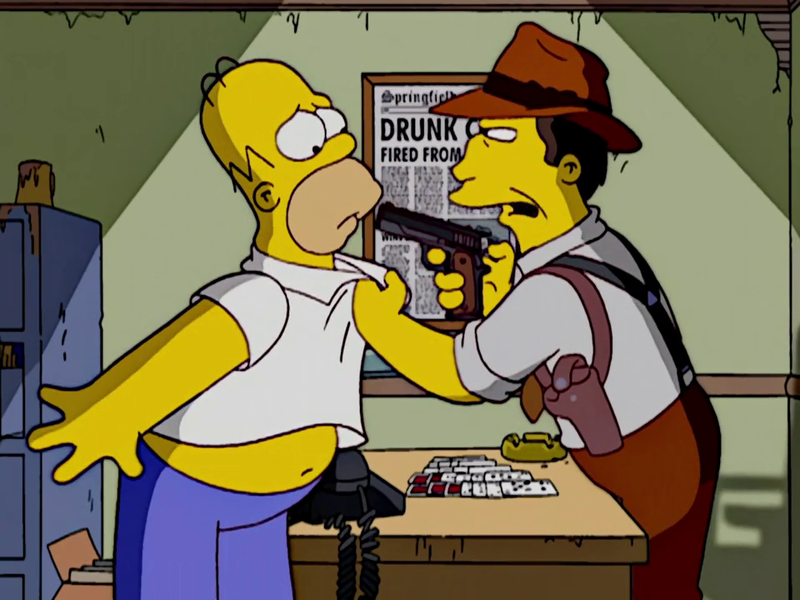 Bob and Homer track down the attempted murderer and discover that it is Frank Grimes, Jr., the son of a man that Homer drove to insanity. After Grimes is arrested, Bob tries to kill Bart, but he finds that he has "grown accustomed to his "face" and cannot harm him. After Skinner once again has let Mrs. Krabappel down, Bart takes her to the cinema. To cheer her up, Bart nominates Krabappel for the 'teacher of the year' award. 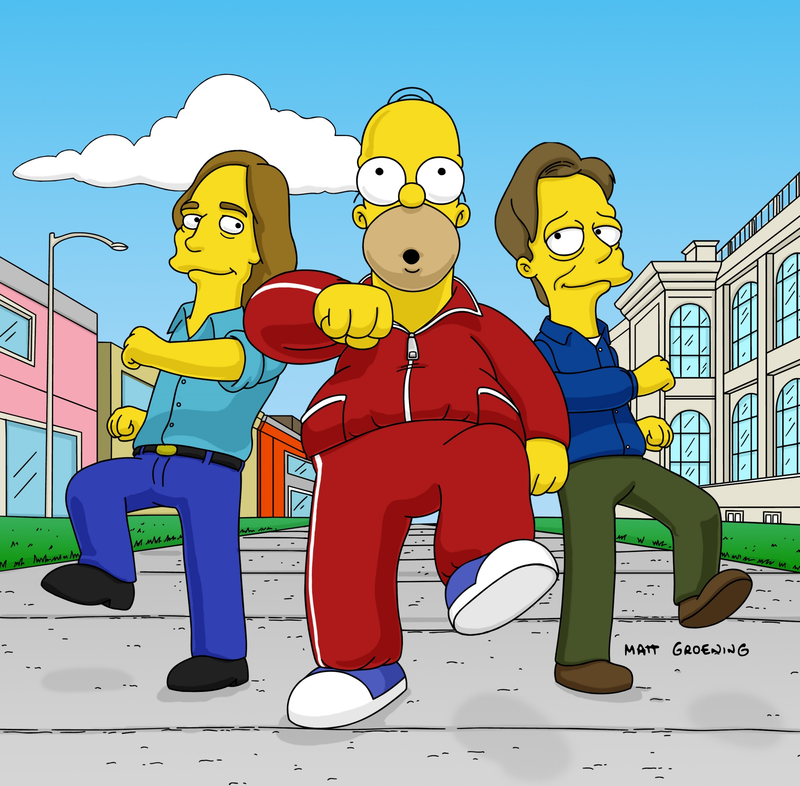 The nominations is accepted, and soon the Simpsons family and Mrs. Krabappel are going to the award ceremony in Orlando, Florida, where Skinner tries to get back Krabappel by asking her to marry him. Lisa becomes angry after watching a horribly inaccurate video that Homer gave to her as a birthday gift. The video showcases Homer's complete lack of knowledge regarding his daughter, so he decides to hire a private detective to learn more about Lisa. Marge takes up bodybuilding to boost her self-esteem after a mugging, but the family finds they just can't cope with a Marge that can bench-press 500 pounds. Homer turns to religion to help him get what he wants, and is soon awarded the church in an injury settlement. Homer then turns the church into his personal party pad, and Reverend Lovejoy leaves Springfield to wallow in its hedonism. Bart learns that he was once a child actor in commercials and that all the money earned was spent by Homer. 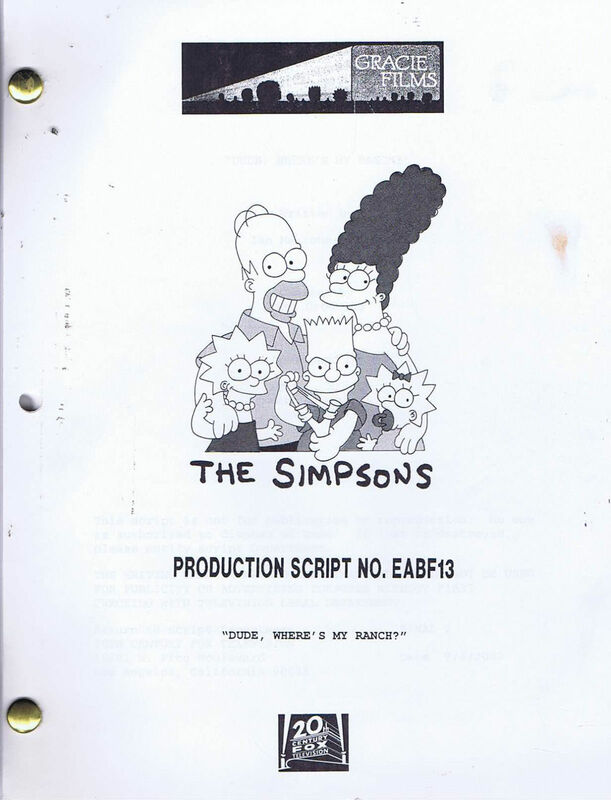 In retaliation, Bart petitions the court to have himself legally emancipated from his parents and moves out of the Simpson house. 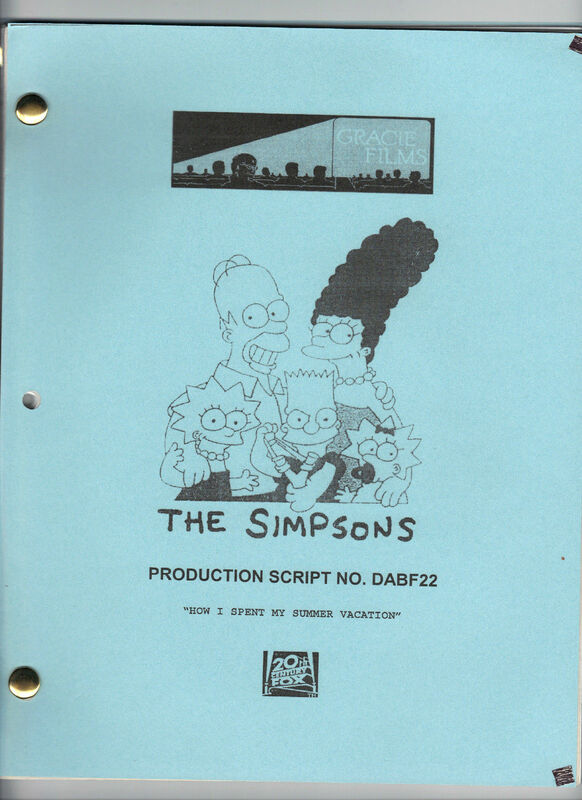 Bart is initially miserable in his new apartment, but discovers that skateboarder Tony Hawk lives on one of the floors above. He and Hawk become friends, and Bart is content with his new life. 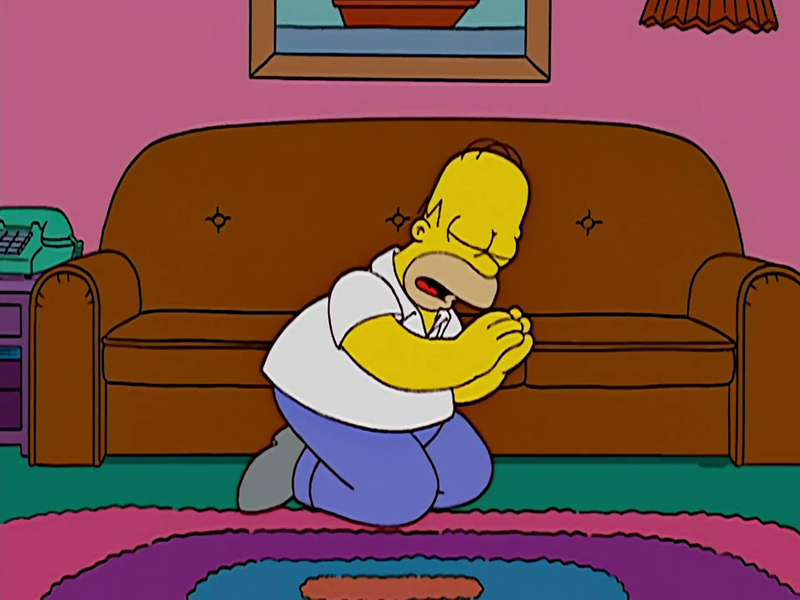 Homer apologizes to Bart and requests that he return home. 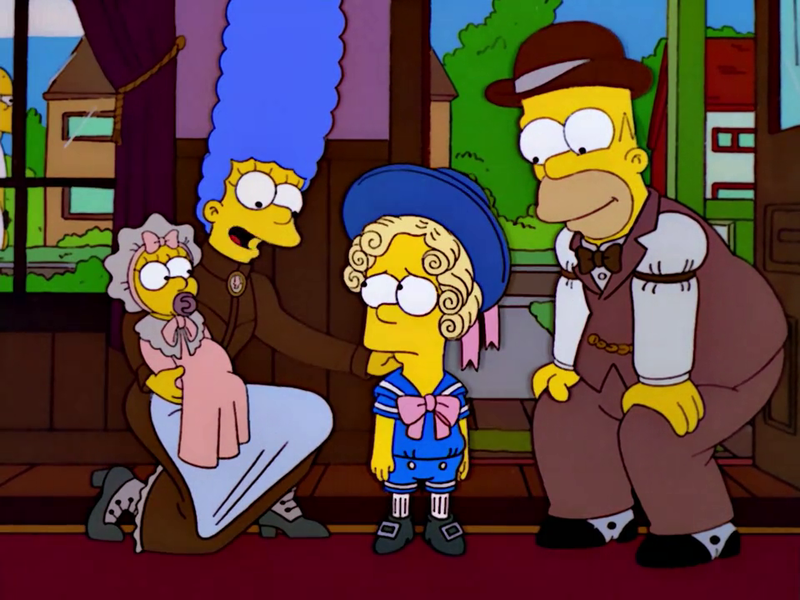 Bart accepts the apology, but tells his family that he is going on tour with Hawk. 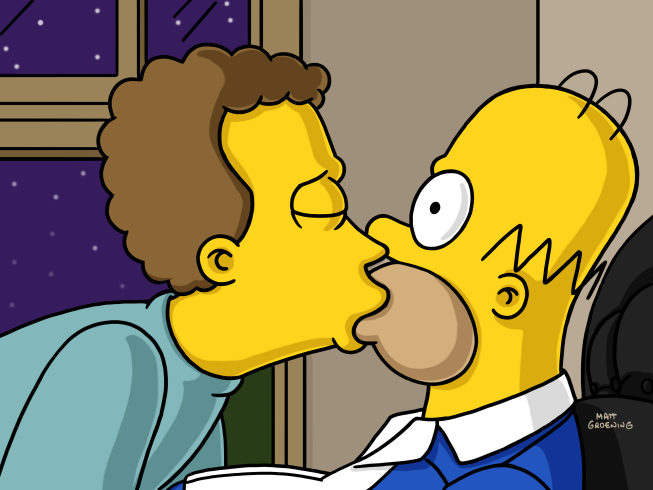 At an event, Homer speaks to Bart and finally promises Bart that he will never treat him badly again. Lisa participates in the Spellympics, but Homer is busy traveling cross-country as Krusty Burger test-markets a new sandwich. 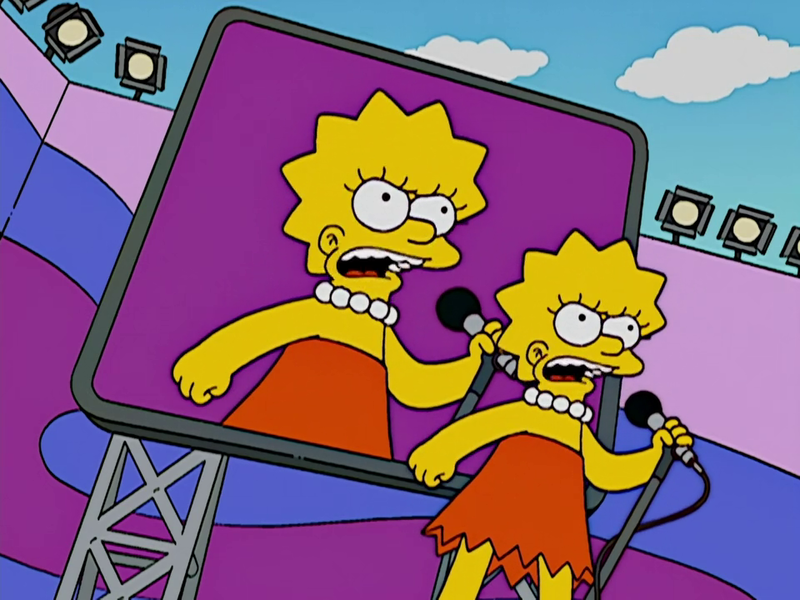 Lisa is confident that she will win, until she learns that the contest is rigged against her. 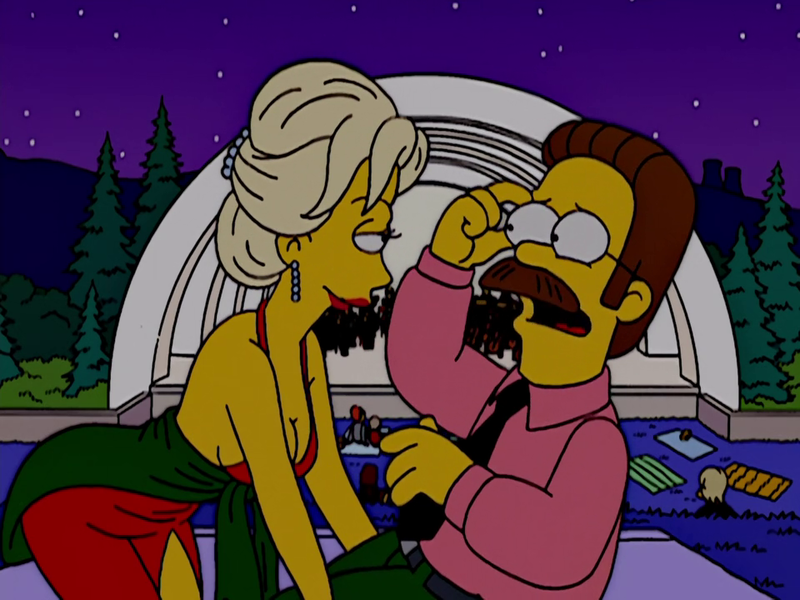 Ned Flanders starts dating a the famous movie star, Sara Sloane, but Ned has difficulties with the tabloids following them everywhere. 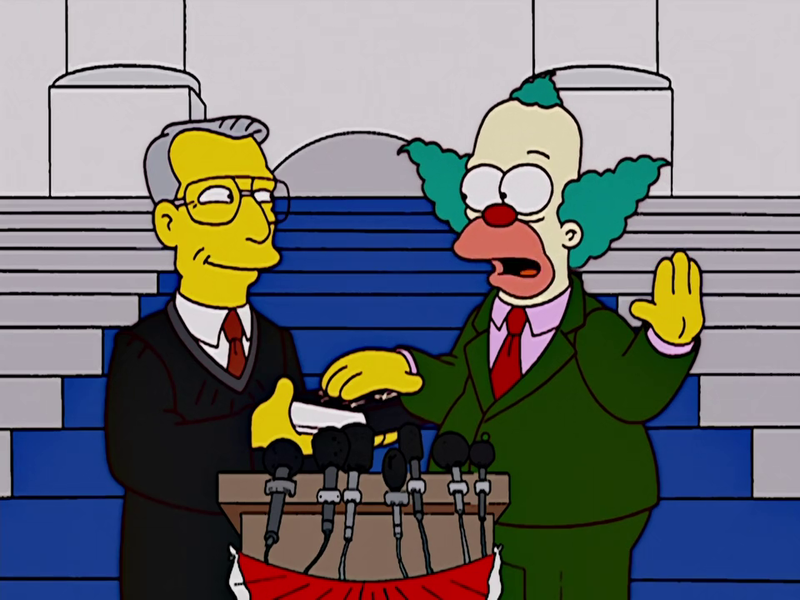 The family makes Krusty run for Congress because of air traffic being redirected to fly dangerously close to their house. 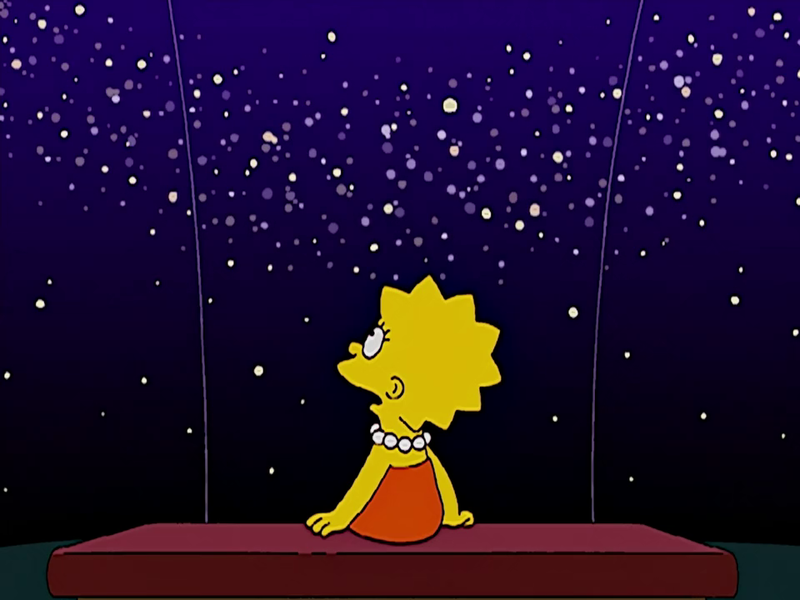 When Lisa realizes she has no future, she decides to focus on astronomy, and her first aim is to make the city to turn off the lights to watch the comets rain at night. While searching in his closet, Homer discovers an old letter from Marge that states that she no longer loves him. He begins to think that she only married him because impregnated her and moves out. 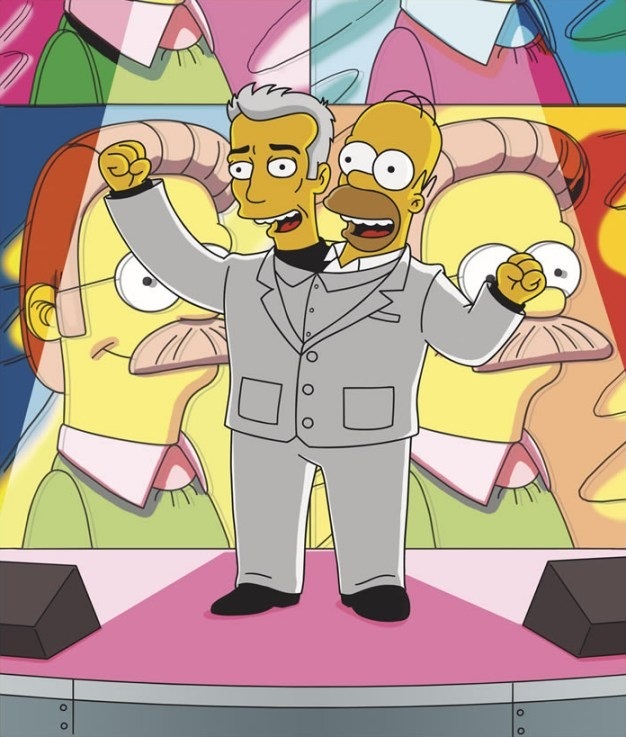 He finds a new apartment in Springfield’s gay district and moves in with a male homosexual couple. 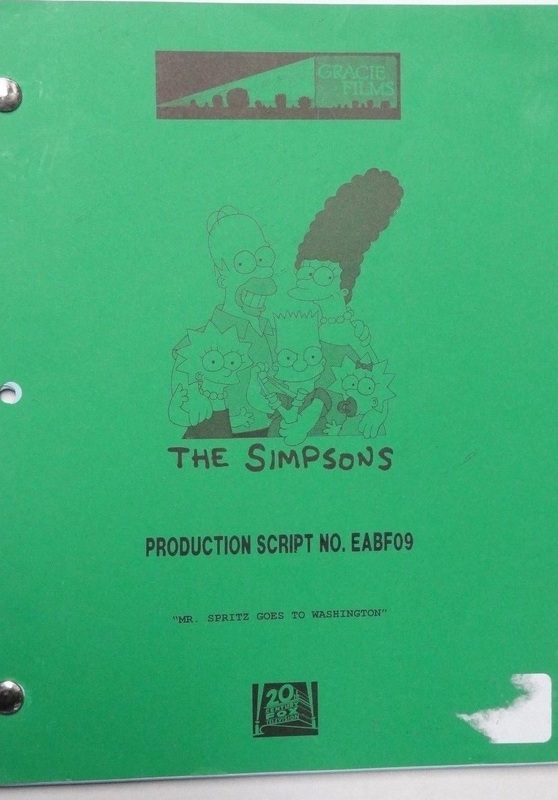 Homer's song, "Everybody Hates Ned Flanders", becomes a hit in Springfield, but the family leaves Springfield to live a couple of weeks in a ranch to escape Homer's song. 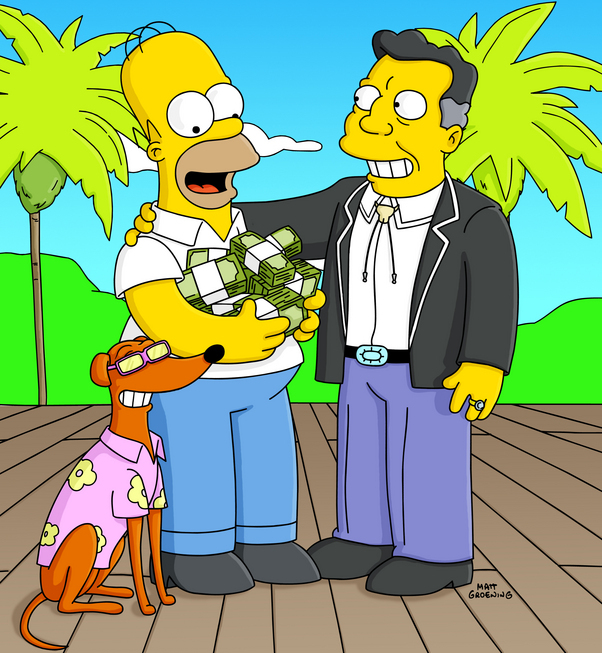 Homer throws out Santa's Little Helper for not saving him from a fire, but soon the dog becomes Duff's new mascot. Homer becomes obsessed with using new gadgets in his car. One day, he becomes distracted and drives off a pier, losing his driver's license. Unable to use a car, Homer starts to learn the joys of walking. Meanwhile, Marge shoulders the burden of Homer's driving duties and becomes stressed out. One day, as Homer sings about the virtues of walking, Marge accidentally runs him over with her car. Later, as Homer recuperates from the accident, he begins to suspect that Marge is trying to hurt him. They fight and go to see a marriage counselor. 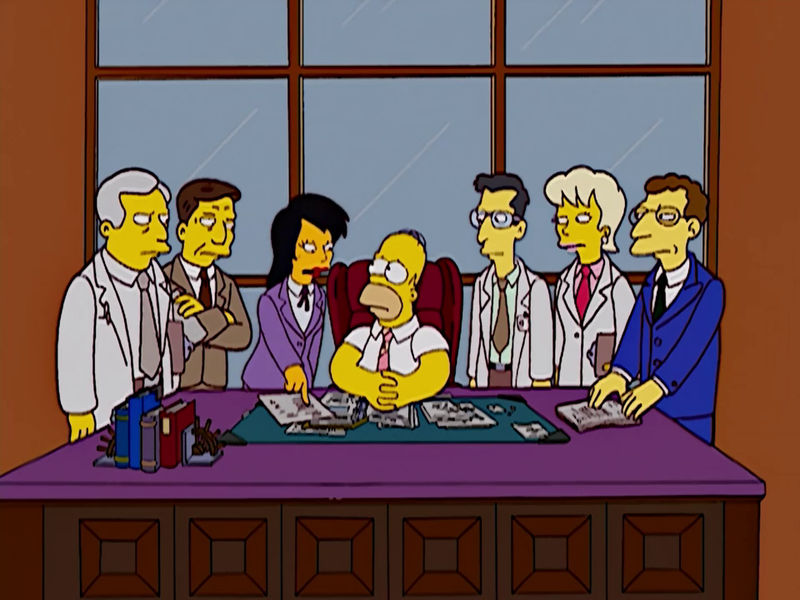 The counselor advises Homer to perform one completely unselfish gesture to win Marge back. Homer holds a party with all of her friends and a surprised Marge tells Homer that she loves him. 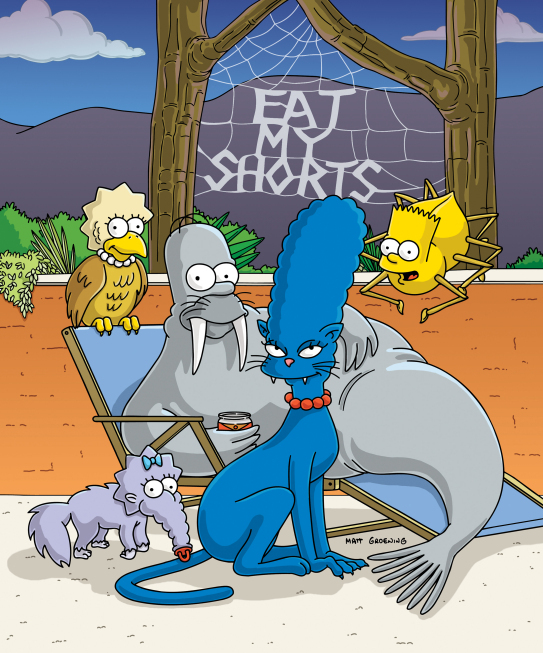 Marge makes Bart quit hanging out with Milhouse after the two are caught invading the Flanders' home. 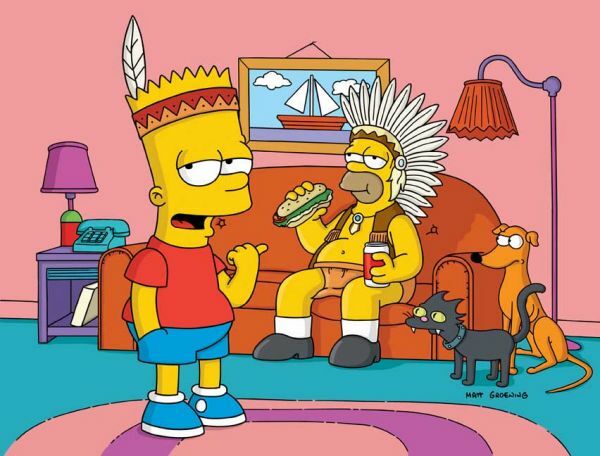 She then starts a peer group based around Native American life for Bart, Nelson, Ralph and Database to participate in. 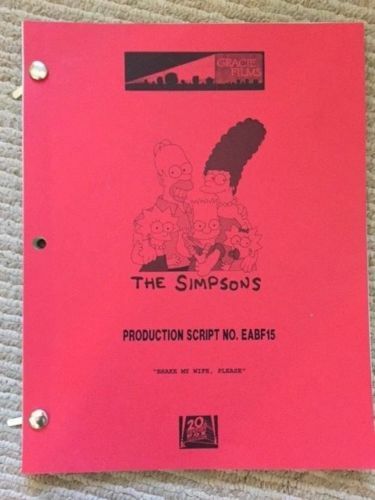 When Bart finds out Milhouse has joined a different peer group, they soon are at odds as they see whose group can do more community service around Springfield. After the blooming of a huge plant in Springfield's botanic gardens causes a stinking fume to spread across town, all the Springfieldians take their cars and drive away from the city. When the traffic is jammed on a bridge, Homer falls asleep. When he accelerates, he crashes into another car and Maggie is sent flying out the open roof window. 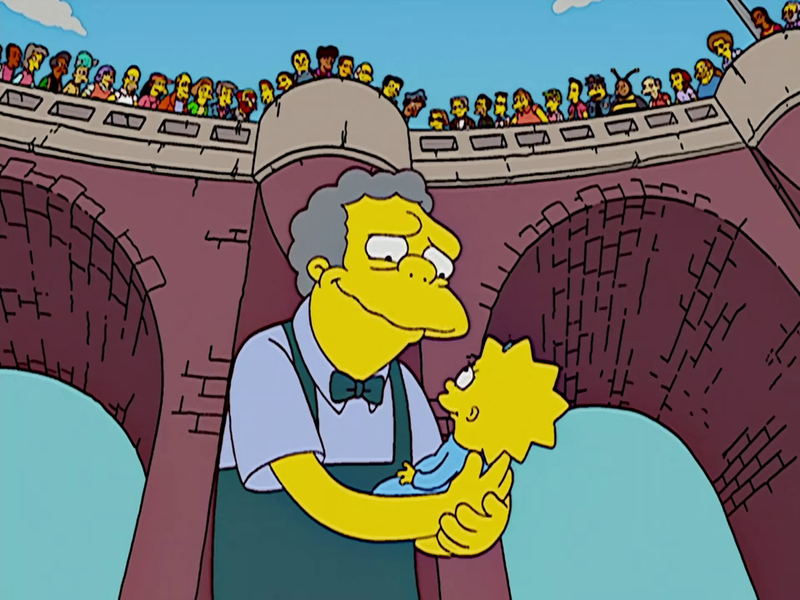 In the mean time, Moe is about to commit suicide by jumping off the same bridge, which is prevented by Maggie falling into his arms. He then becomes crazily obsessed by the baby. Modified on January 26, 2019, at 05:44.